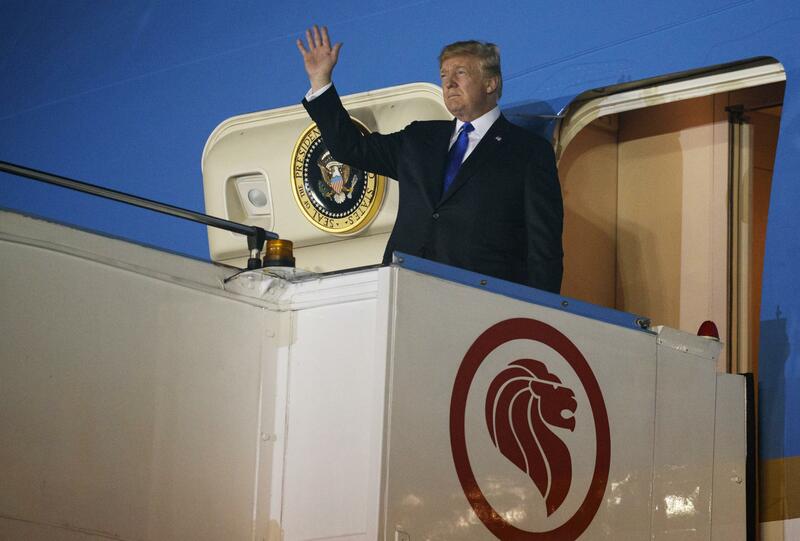 SINGAPORE – President Donald Trump and North Korean leader Kim Jong Un converged on this island city-state Sunday ahead of one of the most unusual and highly anticipated summits in recent world history, a sit-down meant to settle a standoff over Pyongyang’s nuclear arsenal. Part of the interest in Tuesday’s summit is simply because Kim has had limited appearances on the world stage. He has only publicly left his country three times since taking power after his father’s death in late 2011 – traveling twice to China and once across his shared border with the South to the southern part of the Demilitarized Zone in recent summits with the leaders of China and South Korea, respectively. The fighting ended on July 27, 1953, but the war technically continues today because instead of a difficult-to-negotiate peace treaty, military officers for the U.S.-led United Nations, North Korea and China signed an armistice that halted the fighting. The North may see a treaty – and its presumed safety assurances from Washington – as its best way of preserving the Kim family dynasty. The ensuing recognition as a “normal country” could then allow sanctions relief, and later international aid and investment. Published: June 10, 2018, 8:56 a.m. Updated: June 10, 2018, 2:26 p.m.